The hi beams will not come on when I turn the headlights on only low beams come on. 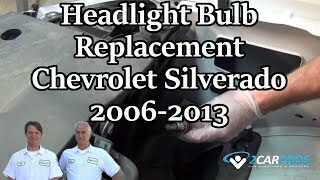 If all fuses are good, check the headlight control relay. It is located under the hood on the left fender well in relay block #2. Hope this helps. James: The fuses are good and so is the relay. Also the headlight switch works fine. Is there any other relay that is dedicated only to the high beams? 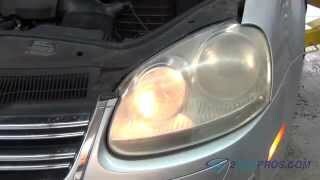 Do you have DRL (daytime running lights) on your Toyota? This makes a big difference on the wiring diagram. Please advise. OK, with DLR, there is another relay under the hood (#5) for the high beams. This relay is controlled by the DLR relay/module behind the instrument panel. If #5 relay is good, then it must be a problem with the DLR module. If you have, or have access to, a fax # I can ship you a copy of the diagram. I can attach it to this post, but they don't come through very well. Thanks James: What do you do stay up all night and answer questions? I got that fax at midnight my time in victoria tx. Anyway I was wrong about having DRL's they only came on the canadian built cars, sorry about that, I was looking at the wrong schematic in my Haynes manual. So I think I'm going to change out the headlight combination switch and see if that fixes the problem.I do wonder tho if there could be a problem with the integration relay. Have you ever had a problem with one? Yes, sometimes I'm up most of the night. You get started on this and before you know it, it's 2 or 3am. I'm in Minnesota so it was midnight here, also. Sorry to bother you so late. I heard you answer the phone. When we respond to a post, we have no idea what country you're from. A lot of people don't realize that we're worldwide and when it's 2am here, it's only noon there. Part of our computer program is for translating 38 different languages into english and back again. It's interesting to say the least. Anyway, on to your question. I faxed you both DRL and nonDRL diagrams just in case. Yes, it could very well be the combination switch. You can check inputs/outputs according to the diagram. For what it's worth, we get get a lot of posts for Toyota Camry lighting problems. It seems to just be a weak point in design. If there is anything else I can help you with, you know where to find us. You're hot on the trail man, let me know. Well I tried a new relay and thet didn't fix the problem. I'm really puzzled now and don't know where to look to fix it. Any suggestions? Do the high beams come on when you hit the flash switch? No. The only thing that works off the switch is the tailights and the signal lights. Could there be a fusable link or a fuse I'm missing? What about the integration relay? Well, according to the diagram, if the "integration relay" was bad, you wouldn't have any headlights at all. Also, I'm not sure we're talking about the same switch judging from your last post. 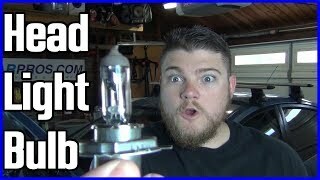 With headlight low beams on, if you pull up on the turn signal lever do the high beams come on momentarily? The low and high beams are on the same 2 fuses. Hi James: What I meant to say was that normally the switch works the headlights but at the present time it won't turn the headlights on it will only turn on the tailights and siignals. Since I last talked to you I took the top cover off the old relay and installed it in without the top and then jumpered the relay coil wires so that power would go thru the coil and energise it. When I did this the lights came on and the switch could be used to go from low to high beams and flash on high beams. The only thing I couldn't turn the lights off without disconnecting the jumpers. So it seems that I'm not getting any power to my relay. Are the lights tied into the ignition switch in any way? Ya' done good. Pulling the cap off the relay and physically cosing it is an old Jaguar trick. Most people would think of it, but I do it all the time. Looking at the diagram, terninals 1 & 3 on the headlight relay socket should be hot at all times. Terminal 1 must be or you wouldn't have gotten any headlights. Then, with the headlight sw. On, check term 4 for ground. If no ground, ground the #4 terminal, if the relay is good, the headlights should come on. The ground comes from the headlight switch (HS) through the integration relay. Ihave checked everything I have and can't find a breakdown or purpose for this relay. It must control other functions, but I can't tell you what. But, if you have ground coming from terminal #13 of the HS, it has to be a problem with this relay. Now that I know that you had no head lights at all, we're getting close. Unless my diagram is wrong, everything was checking out good until you put the relay back in, with relay #4 grounded and had to supply 12 volts to term #3 to close the relay. #3 & #1 should be hot "all" the time reguardless if the relay is in or out. Or if HLSw is on or off. With relay in, HLSw on, would you check voltage at term #3 one more time? I'll wait for your response. 1998 Camry Won't Start Unless High Beams Are On. 1998 Toyota Camry Won't Start Unless High Beams Are On. What Would Cause This?